My low sugar challenge is officially over. Well, not totally over, hopefully it is a new lifestyle change for me. During these last 12 days I have really focused on keeping processed sugar OUT of my diet. It has not been easy, as a SAHM somehow little bits of sugar sneak into my diet everywhere. My body had a “sugar inflammation” timeout. My boys could probably guess what that means. I am proud. Even though I did suffer from many of the classic sugar withdrawal symptoms, after I got over the “hump”, my body and mind felt much clearer. So what have I learned from this low sugar quest? Many Things~ Good and Bad. My body felt the difficult sugar detox and cravings(which still come and go), but around day 7 I felt energized and much more balanced. I kept 1 Tablespoon of raw honey in my diet and that really helped my body bounce back each morning. I am obviously sensitive to sugar, which makes me fall into this category of probably having chronic inflammation (maybe because I was raised on Cinnamon Toast Crunch and Fast Food). I have been reading a lot about inflammation from many sources. There are some very helpful sites that really explain how the body handles sugar and what it does to try to cope with an overload of sugar. This is an article from a few years ago that explains it nicely. “New research is revealing disturbing links not just between sugar and obesity, but also between sugar and inflammation. Inflammation, of course, has been implicated as a major factor in a number of vitality zapping diseases, from cancer and diabetes to atherosclerosis and digestive disorders. Wow. 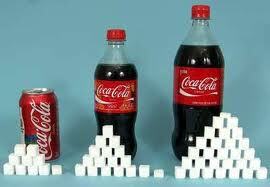 Makes me want to put down my can of soda. Just kidding! No soda in my house, but it does make me think twice about what sorts of treats I let my kids eat. My new rule for sweets, we can eat them (in moderation) when we bake them. This is mainly for the boys because they are young and I want to teach them that desserts are made at home, not a store, fast food restaurant, or processing plant. I want to teach them something important about their health. Our parents may not have had access to this information, but WE DO! We can make the right changes and make a difference starting today. Great post. It is so important to teach our kids that food is meant to nourish the body. It’s amazing how much emphasis is put on the taste of food, and about zero on how nutrient-dense it might be. Makes me think for special occasions we should be baking organ meats instead of cakes…..
now that is a great idea. let’s start making organ meats for bday parties. I wonder what people would say. It would be fun to try! You are so right though. We have to backwards. Question~ do you buy your sprouted flour online from organicsproutedflour.com? Seems to be the site of choice.